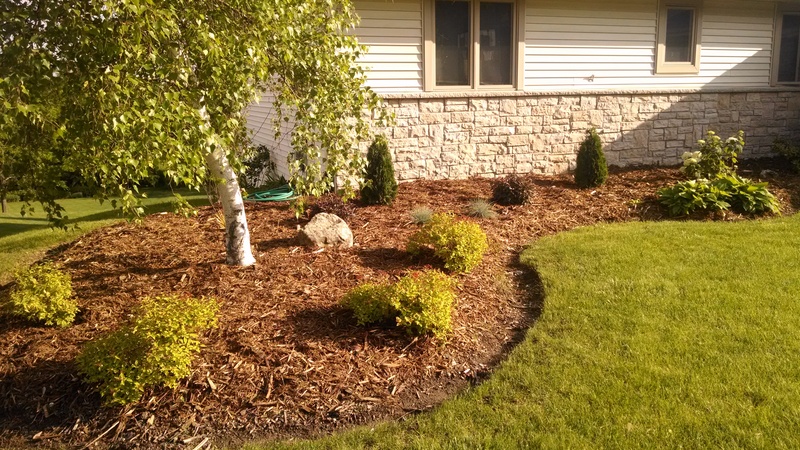 If you’re from parts of the country that learned what a Polar Vortex was this past winter then your landscaping might have taken a beating this year. The concept of curb appeal has always been important to me. And let’s just say some failed attempts with my black thumb have left some of the best-laid plans we had for our landscaping in the dirt. Why on earth am I geeked about landscaping you ask? And how does it even remotely fit in with the content I usually post on this blog? Because it’s a project almost completed that taught me a thing or two about doing my homework before I jumped in (like the last time we landscaped), pushing through the desire to throw my hands up and say “forget it” when I was intimidated or throwing money at it that we could easily spend on many other important things this year. I am no expert nor do I claim to be. But the following steps may provide a jumping off point for anyone else who may be as skeptical of their skills as I was at first. You might even find a way to save some money, utilize existing plants you already have and even experience some amazing stress-reducing benefits. 1. Do some homework: Drive around your favorite neighborhoods and take notice of what you like. Do you like the look of annuals and lots of flowers? 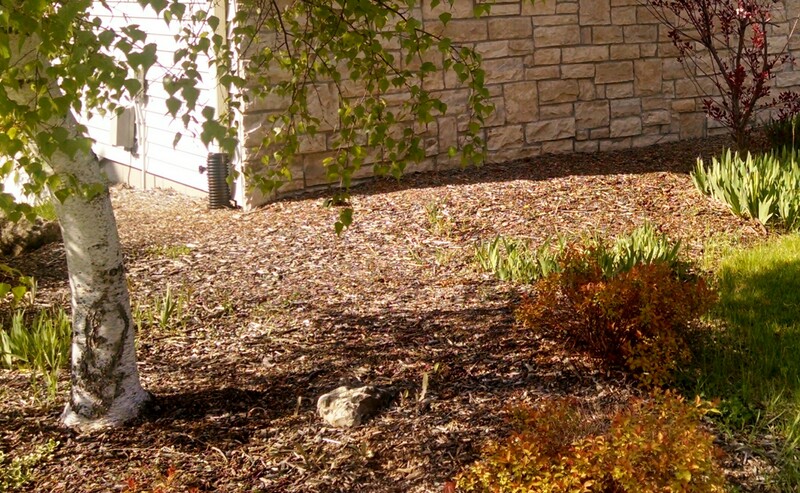 Do you favor low-maintenance shrubs and bushes? Do you value symmetry and a more organized design or do you like a more natural look? Taking in to account some of these factors gives you a good place to start. 2. Locate your Gardening Zone: The plant hardiness zone map is a standard used by most growers and gardeners to indicate which plants will thrive best in different regions of the country. Click here to find out your zone: USDA Plant Hardiness Zone. Also researching online can provide some great inspiration and useful information about the types of plants that may work in your yard. One of the sites I especially liked was Bloom IQ.com. 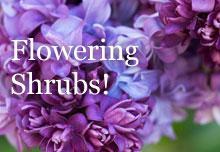 This site offers care tips, gorgeous photos for design inspiration and my favorite tool under the heading Plant Information. Here you can select the plant type, zone type, lighting, bloom time and bloom color and it will search the database and provide you with the results that fit this specific profile. 3. 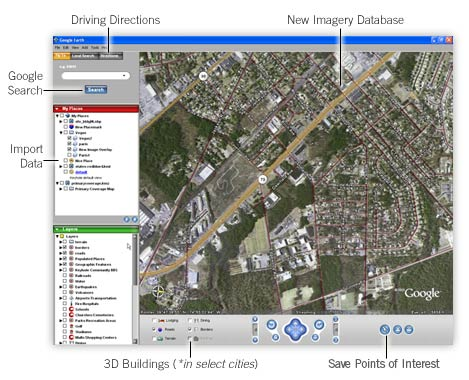 Divide and Conquer: Start with a Google Earth map of your house. Google Earth uses satellite imagery and aerial photography to map the earth. I loved this idea to assist in mapping out a plan. My husband suggested this and it proved to be very useful in helping make this overwhelming task for me into a more manageable project. After downloading the program I found our house, zoomed in and printed a snapshot. We divided the landscaping into different areas of focus. Based on the Zone we live in and the lighting each landscaped area gets at different times of the day it helped me focus on what types of plants may work based on my preferences. It also highlighted what had been hastily planted the last time we landscaped just because I liked it but didn’t really take into account what type of sunlight would be required or whether certain fertilizer was needed etc. Click here to visit Google Earth and access a free download. 4.Visit some local greenhouses, garden stores and growers: Hopefully there are some real experts on-hand that would be happy to share their vast knowledge with you. I visited a couple of local places and talked to the person referred to me as their in-house expert. I showed them my Google Earth plan and gave them an idea of some of the plants I liked. With input on what would grow well in our Zone as well as the lighting requirements of each plant, a plan started to materialize. It was further refined by getting input from another well-respected grower and adding some of those suggestions to the plan. 5. With plan in hand GO SHOPPING! (My favorite part!) Have a budget in mind before you go and try to stick to it. Be prepared that once you get to your destination all the colors, smells and sights can easily get you off track. Most everything is looking its best and it can be hard to say no to every gorgeous hanging basket or tropical plant that may require a lot of attention. If you have a plan and know specifically what you are looking for it will be much easier to stick to it and your budget. While we’re on the topic of budgets, before I went shopping, we looked around the yard to see what plants were thriving but just needed to be relocated to another area to make room for something else. We also took into account what plants could be split and planted elsewhere in the yard to fill in spots that needed it. This saved a lot on expenses too. 6. Do a Mock-Up before you Start: Once you return home with your new plants, invest the time in a mock-up before you start planting. Placement is key! Some plants may grow five feet wide and eight feet tall. If you don’t take note of that on the information card that comes with the plant you may end up losing a plant you love if it can’t later be transplanted. This happened to us. Years ago we had placed two beautiful purple leaf sand cherry shrubs near our children’s bedroom windows. When they got about 8 feet tall it was kind of overbearing. We wanted to move them but by this time it was too late. So we lost one in the process and decided to leave the other one as it was but prune it down considerably. 7. Enjoy the benefits! Did you know that plants improve air quality, reduce soil erosion and reduce noise pollution? According to Green Leaf Nursery, one of America’s largest nursery growers, landscaping can add as much as 15-20 percent to the value of a home or building. By spending as little as five percent on landscaping, the value of a home can jump as much as 15 percent! And research shows that children who interact with plants and nature are less apt to be hyperactive, more creative and focused and cooperative at play. Studies also show when adults interact with plants and nature they have less stress and depression in their lives as well. I am finding this out now. Ten years ago I was not really interested in taking these necessary steps and doing the work. But I am so glad I made the investment to see this project through. I am thoroughly enjoying watering my new pIants and just zoning out and relaxing each day for twenty minutes or so. I know I will reap the benefits for years to come and our home is better for it as well. Lastly, I kept all of the information cards on each plant and made notes about what kind of care it will require each season. These notes are now housed with all my gardening supplies. If it took us almost a decade to re-do the original landscaping, I want to be sure what we do now flourishes and works well for years to come. Keep in mind many of these plants need to mature! Jennifer the finished project looks fabulous! I love landscaping and digging in the dirt. I had never thought of utilizing Google maps. Great tips! Thanks Queen Mom Jen! You’re way ahead of me if you already loved digging in the dirt! Wow! The finished product looks awesome. Great job! Thank you! And I was just on your site this morning when I had a few moments and wanted to come back for more when I had more time. Love all the triathlon stories! I am doing my first in August after too many years of just pounding the pavement -mix it up. I look forward to more reading up on your adventures!